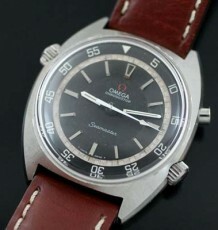 Vintage Omega Seamaster with cal 562, automatic movement. 34mm by 41mm solid gold bezel. 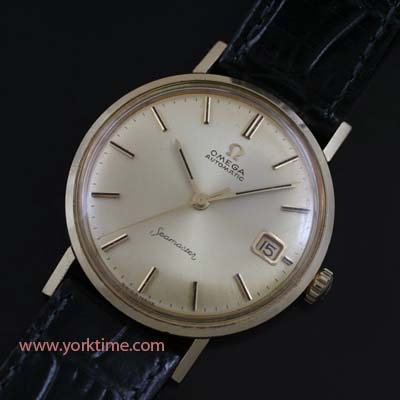 The ever popular Omega Seamaster dress watch, with round gold topped case. This particular watch features a champagne coloured dial and gold coloured stick hands. 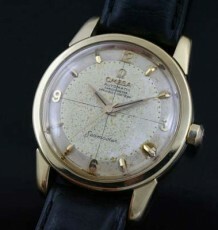 The dial is all original and in excellent condition. 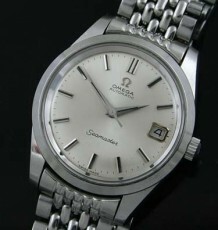 The watch is fitted with an automatic Omega calibre 562 movement with calendar. 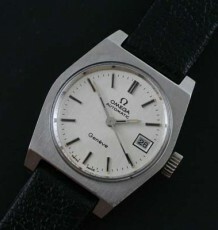 The serial number of the movement dates the watch to 1966. The movement was recently serviced and is keeping excellent time. The case is made with stainless steel and capped on the upper surfaces with 14 karat gold. The bezel is actually solid 14 karat gold. The watch measures 34 mm wide and is supplied on the buyers choice of black or brown leather strap.